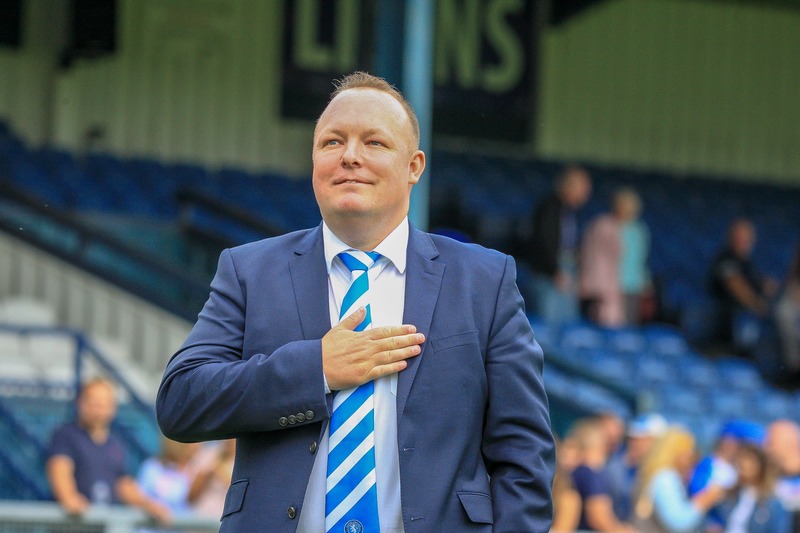 Andy Mazey writes his latest column for the Chairman’s Corner, with plenty to discuss. 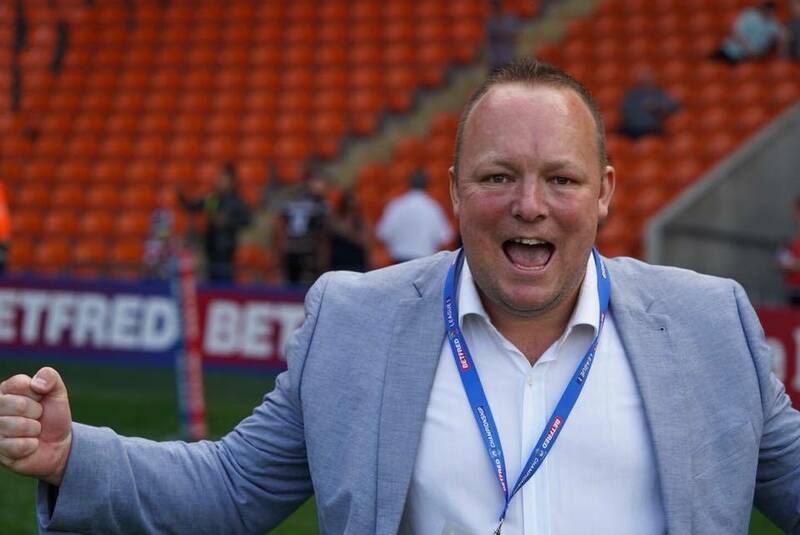 Andy Mazey returns to the Chairman’s Corner discussing the season start, Summer Bash and the 1895 Cup and praises the efforts from the board. “It feels like the season has only just begun, however we are already into April and over a quarter of the way through our 2019 Championship campaign. The board and I have taken a professional approach this year of distancing ourselves from fans forum’s and unofficial social media pages. I therefore wanted to provide an update to our supporters to maintain the level of transparency which has been integral since my involvement at the club. In terms of on the field, despite some horrendous luck, our performances on the whole have been vastly improved from last season and are encouraging. Our competitive displays against some of the bigger and higher funded clubs in this very competitive competition along with an important away victory at Barrow have warranted belief we are indeed getting there. It’s well documented that we have been dealt a number of cruel blows inside the opening months of the season in regards to injuries to key players, but this is the nature of this contact sport unfortunately, so we must keep going and keep striving to overcome adversity as and when we face it. Funds are obviously limited but with the valuable support of Pride Builder and a commitment from myself and other board members to fund further recruitment, we will do everything we can to mitigate long term injuries and improve Stuart’s selection options and overall quality of the squad. I’m personally working hard with Stuart on a daily basis negotiating with agents and players so keep an eye out for further updates in due course. 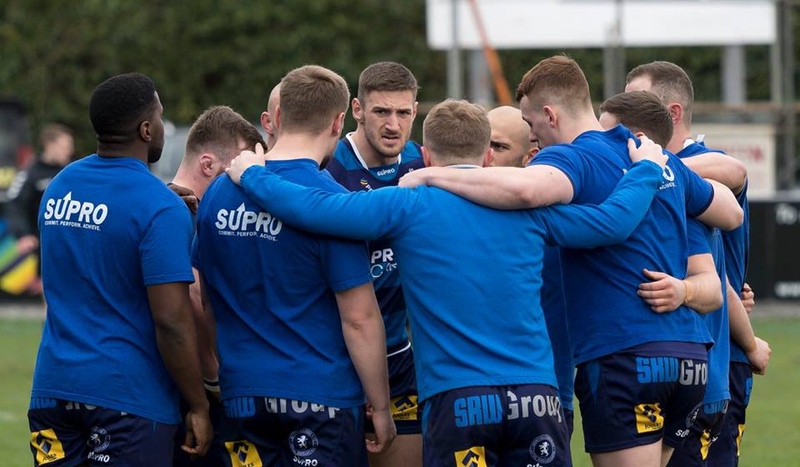 Our head coach, players and staff retain mine and the boards trust and full support and we along with the majority of knowledgeable supporters fully understand where the club is and we can clearly see the basis of an exciting young Lions team taking shape. I understand people don’t want to keep hearing about our budgetary restrictions but at the same time facts are facts and those who criticise should be fully mindful of them and clear that without this current board Swinton right now would at very best be a mid-table League One team and at worst gone forever. It’s no longer the 1960’s and Station Road is sadly a thing of the distant past and clubs in sport generally find a natural level based on overall size, revenues etc. so to be operating where we are means we are punching above our weight and this should never be overlooked. Turning this club’s fortunes around after decades of decline was never going to be an overnight process and if I’m honest I probably underestimated the size of the task but that said I like a challenge or wouldn’t have taken it on and rest assured we will continue to take this club forward in a steady and controllable manner and find a way to get to where we all want to be. 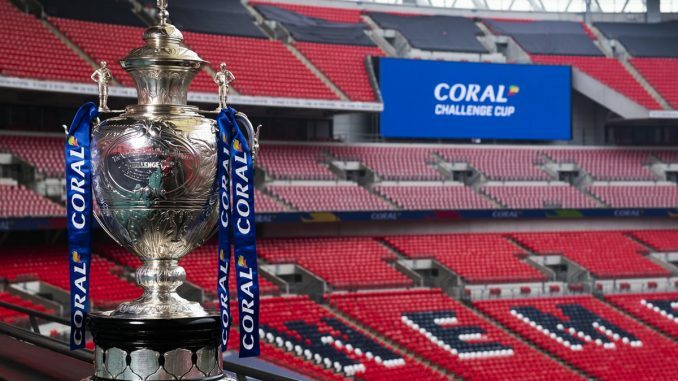 Last weekend we bowed out of the Coral Challenge Cup. Whilst disappointing, our efforts must be focussed on staying in the Championship and there can be no doubt our injury hit squad will benefit from a weekend of rest as the next round takes place. While a cup run is always nice for supporters and a home draw (which we’ve yet never had the benefit of during my tenure) can be financially rewarding there are down sides to progressing so I’m taking the glass half full approach on this one and am glad our troops will get some much needed recovery time and valuable time with their families. Many will fondly remember the win against Huddersfield in 2017 but it’s important to understand that the clubs circumstances were completely different then. That win came at a time when the club was grossly over spending and heading towards administration and potential liquidation. At that point in time the then-head coach was employed full time, had full time staff and a number of full time players in addition to some extremely well paid part time players which it turned out the club could not afford to pay. As it transpired not long after that cup win the severity of the problems started to surface and it came to light to be a foolish gamble with the clubs future to try and crack the top four, a target I may add it came absolutely nowhere near ever achieving whilst spending at least four times as much as what we are doing as I type today. Put all that into context and clearly what we are doing right now being in a similar position in the same competition doesn’t seem that bad does it? I personally always like to make sure when I’m making comparisons I’m comparing an egg with an egg and perspective is almost as wonderful as hindsight. There is of course still a chance of us making a Wembley final and we could indeed be just three games away with the 1895 Cup final. With this in mind we are running a very special VIP Wembley trip this year on a first come first served basis. The trip includes high value match tickets, executive coach travel, breakfast start, pub stop off, and both cup finals are included. Unbeatable value at just £65 per person so get in touch with our Operations Director Steve Wild to reserve your place. 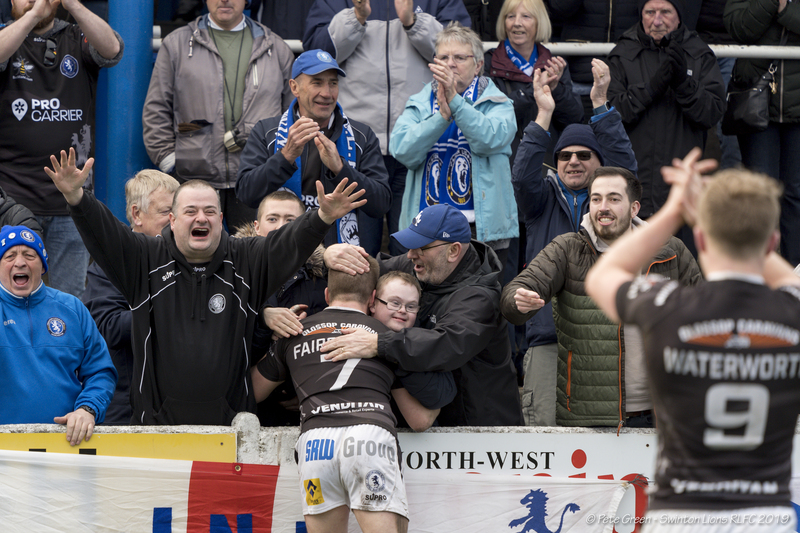 We now also have the details of our kick off time for the Summer Bash fixture with Rochdale Hornets which has changed to a 3:30pm kick off on the Saturday. The Bloomfield Road event has been boosted by the news that it will be provided with ‘extensive and exclusive’ coverage by SKY which is great news and exposure for our commercial partners and club sponsors. Please could I urge everyone to only buy your tickets from us as if you purchase elsewhere we suffer financially. On the subject of financials, the club is meeting the targets and objectives set out in our 2019 budget. Despite the well documented issue of reduced central funding combined with the effects of the newly introduced ROI model (return on investment) putting us in the unenviable position of being the lowest centrally funded team in the Championship we have not gone backwards, on the contrary we have rolled our sleeves up and increased our investments and revenues in order to be as competitive as we possibly can be. It needs to be noted however that unlike the past we are not not over-stretching the club finances, gambling on unrealistic targets or spending money the club hasn’t got, instead we are challenging ourselves to work harder and smarter and to achieve more to be able to spend more. Success is something that comes when everybody works in tandem and that is never truer than in rugby league. When everybody is singing from the same hymn sheet and the belief is there across the board, anything is possible. Before I go on and with the above said it feels appropriate to place on record my thanks to my fellow Directors who work tirelessly for the benefit of this Club putting in invaluable hours that the club could never afford to pay for. This extends to our fantastic Supporters Trust and club volunteers, you all know who you are. As we try to push on, it really is crucial that you our loyal supporters get behind the team even more now and in even greater numbers for the remainder of the season– ultimately, our games throughout the next quarter will prove key in terms of giving us a realistic chance of climbing up the league standings and could be the catalyst as we bid to retain our BetFred Championship status come September. In respect of Agecroft, there has been some further progress on “Phase One” with the upgrade of the existing changing and facilities now underway to meet some of the immediate requirements. Sadly there is nothing new to report in respect of vital funding bids for “Phase Two” which ultimately are required to fund the laying of a 4G synthetic pitch, erection of floodlights, dug-outs, enclosure of the pitch itself and get us closer to meeting RFL minimum standards and being able to put the required infrastructure in place to return home. We will keep plugging away though rest assured and the dialogue with both Moorside Rangers, Salford Council and other parties will continue. On the subject of opportunities, it’s worth noting that the governing body will move its HQ from Leeds to our doorstep in Manchester in time for the 2021 Rugby League World Cup. I was recently asked to comment by members of the trade press regarding the perceived missed opportunity with Manchester Rangers failing in a bid to become THE professional club of the City. I of course took the opportunity to highlight the fact there is already a club in existence with a M27 postcode, Manchester on its badge and at the core of its brand with a proud heritage dating all the way back to 1866, making it one of the oldest rugby clubs in the world. We have immense historic significance in our sport of Rugby League which will always be treasured, and this I believe helps provide the inspiration to drive our future ambitions, a future which in my opinion would be wrong not to tap into and include the wider communities of our City with a population of over 500,000. It’s also a City with a global reputation as one of the world’s leading cities for sport. Whatever the future holds, one thing is for sure as in life generally only the strongest will survive so let’s keep striving to be the very best we can be and keep doing everything we do TOGETHER.